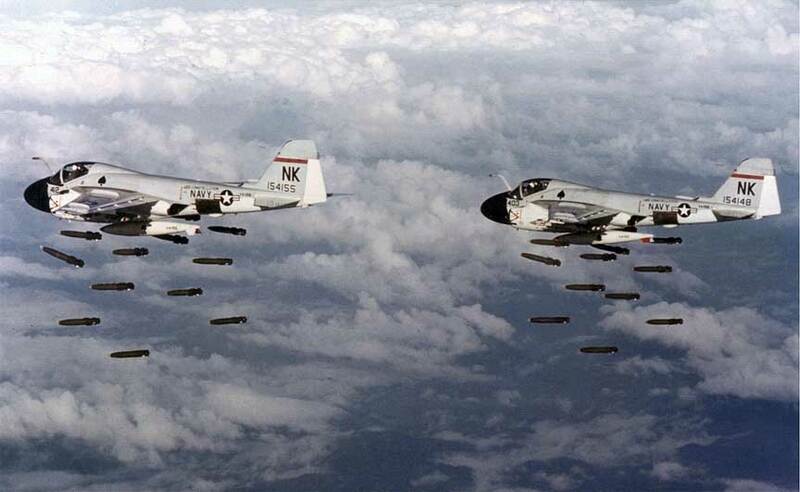 The U.S. launches Rolling Thunder, in which 100 U.S. Air Force planes and 60 South Vietnamese planes bomb North Vietnam. These are the first air raids against North Vietnam that are not in direct retaliation for Communist attacks. Rolling Thunder continues on and off from 1965 to 1968. In all, the U.S. flies 304,000 fighter bomber sorties and 2,380 B-52 bomber sorties over North Vietnam, loses 922 aircraft and drops 634,000 tons of bombs.